Australia’s healthcare system: can it cope with climate change? WITH floods in the north and fires in the south, February 2019 may have given Australia a hint of the climate-related challenges to come. But how prepared is Australia’s healthcare system to cope with the health consequences of a major climate disaster? Associate Professor Grant Blashki from the Nossal Institute for Global Health and Melbourne Sustainable Society Institute, University of Melbourne, said of all developed countries, Australia was one of the most vulnerable to climate change, and preparing health services for its impact was crucial. Associate Professor Blashki said it was important to remember that there was an upper-limit to how much a health system could adapt to climate-related health risks. In an editorial in the MJA, Professor Gerard FitzGerald, Professor of Public Health at the Queensland University of Technology, and colleagues, outlined the importance of building a resilient healthcare system capable of effectively responding to climate disasters and other emergencies. The authors said a ‘whole-of-system’ approach — integrating all elements of population health and healthcare including preparedness, response and recovery — was key to building a health system that could adapt to the challenges of climate change. In an exclusive InSight+ podcast, Professor FitzGerald said better management in the daily demands of emergency departments could provide the key to coping with a major climate disaster. “Our systems are already under pressure. 22,000 people attend hospital emergency departments every day. We’ve never had an event that’s involved 22,000 casualties, except every day,” Professor FitzGerald said. 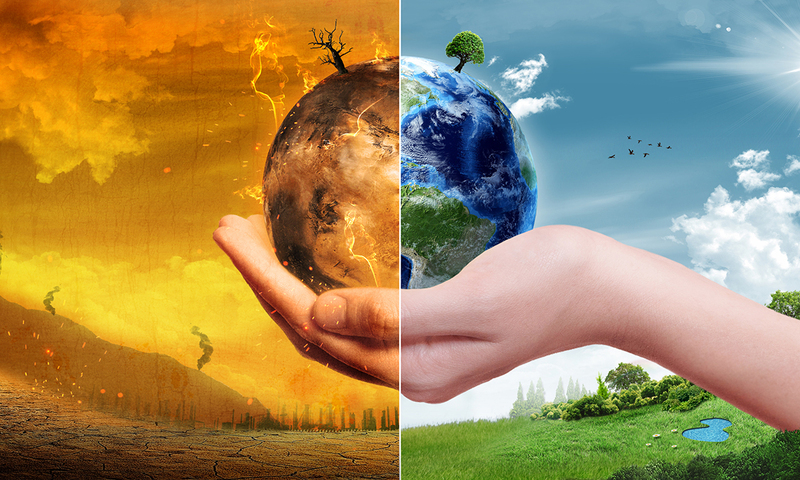 Professor Kingsley Faulkner, Chair of Doctors for the Environment Australia (DEA), said the really worrying aspect of the climate events over the past summer was that this was just the beginning. “These changes are going to get worse,” he said. Professor Faulkner agreed that a whole-of-system response was urgently needed to ensure Australia’s health system was well-prepared to manage a larger scale climate disaster. He said these plans also needed to take into account of the secondary — and sometimes hidden — health impacts of disasters. Professor Faulkner said efforts to address climate change preparedness were occurring in several jurisdictions, noting that the WA Government’s Sustainable Health Review, released last week, identified the importance of strategies to mitigate and adapt to the health impacts of climate change, but that a nationally co-ordinated strategy was still crucial. Associate Professor Blashki said: “How we plan and organise and co-ordinate our health systems and workforce can make a big difference to population health.” He pointed to a 2011 article outlining the importance of preparing Australia’s health system for the health impacts of climate change. ”FitzGerald and colleagues’ timely editorial emphasises the importance of emergency disaster planning, surveillance and monitoring and coordinating of health services at all levels to prepare for the health impact of climate change,” he said. The MJA editorial accompanied a Perspective by Dr Penelope Burns of the Australian National University, and colleagues, outlining the crucial role of GPs in disaster health management — from prevention and preparedness to response and recovery. Professor Faulkner said strong Federal leadership on climate and energy policy had never been more important. The prevalence of adverse climate events is not a scientific outcome: it is confounded on reporting and confirmation bias. Scientists have enough difficulty agreeing on the way to measure global temperature change. This sort of article, with its apocalyptic vision of climate disaster has no place in a professional scientific journal. It has no regard for the damage that can be done to people already fed a diet of mistrust and fear by so much of the social and mainstream media. The facts suggest we are living at a time of unparalleled good health outcomes. The challenges that a medical journal should be prioritising include such issues as poverty, water and food quality, pollution and preventable disease. Do Professors Blashki, FitzGerald and Faulkner ever fly by plane, use air-conditioning, drive a non-electric car, use any goods produced interstate overseas? If so, then they should be silent and stop telling others how to lead their lives. But then some people are more equal than others. Yet more activist blather (yes Cate, I know you can only publish what you receive), with a bevy of acronym-rich ‘organisations’ and ‘institutes’ to provide cover for them. The planet will not end because of global warming. Global warming is rather just another problem to be managed. By 2100, most countries will need to expend between 2-4% of their GDP to mitigate its effects. Given that Australia already spends around 11% of GDP on health alone, this is a manageable figure. It is agreed that all “action on climate change” will make not a skerrick of difference to the trajectory of temperature change by that date, so that apart from assuaging the moral vanity of the activists, the de-industrialisation of societies – whether deliberate or inadvertent – will actually leave us worse off in our financial ability to mitigate these effects. Direct funds and efforts into research to make renewable energy affordable and reliable, but stop trying to cripple present societies by making energy unaffordable and jobs scarce. That’s real intergenerational theft. Here we go again. Whilst all major health organisations have issued statements on the health impacts of climate change and the absolute need for us to be prepared and for us do our best to mitigate global warming – there are still doctors who have the arrogance to think they know better. They would have us believe that the exhaustive and conclusive science of climate change is wrong and, of course, their “take” on the climate science is correct. Give us a break for Heaven’s sake. Do some reading. Use that scientific training. If you think you are still right, why not write a well-researched and well-referenced scientific paper, get it published in a reputable journal and let the scientific community know how wrong we all are about emissions, the greenhouse gas effect, global warming and climate change. We would be so delighted. Thank you for some sanity and some consideration for future generations. The health system needs to do its part to curb its carbon footprint but also use our political and moral power to pressure for government leadership and to expose the lobby groups that are preventing appropriate climate action. In the immediate period, we need to work out how we can identify and protect vulnerable, isolated people who are at risk in extreme heat events. Thank you for this insightful commentary on a thought-provoking article. It is now (almost universally) acknowledged that climate change is instrumental in bringing about alterations in meteorological patterns (including volume and timing of rainfall). This is a phenomenon that is predicted to broaden the distribution of mosquito species that transmit vector-borne infectious diseases to humans. In the case of northern Australia, several indigenous Australian arboviruses are the cause of often debilitating infections such as Ross River fever and Murray Valley encephalitis. In general terms, the mosquitoes that act as vectors for major human pathogens live across the tropics and subtropics, while they are not found in more temperate climatic zones. Entomological records of Australian vector control units suggest that the range of certain mosquitoes is slowly spreading, associated with changing rainfall patterns. Of importance, the Aedes aegypti mosquito that is the principal vector for the transmission of dengue, yellow fever, chikungunya and Zika is found in the Northern Territory and northern Queensland. Currently, this peridomestic species can be detected as far south as Rockhampton, and the concern is that in future years and decades it may reach the more populated areas of Brisbane and the Gold Coast. While this may appear alarming, making long-term predictions of patterns of disease spread based on meteorological factors is fraught with difficulty – be that it is influenced by the vagaries of political decision-making around greenhouse gas and carbon emissions. Accurate climate projections will be valuable to inform future mapping of vector-borne diseases. In turn, in terms of the future allocation of national and state public health resources this may judiciously refocus efforts in regions in which rainfall is predicted to continue or increase, and thus where pathogen transmission may become more intense. Unexpected or extreme weather-associated events often highlight a lack of the type of natural disaster preparedness that is called for in this paper. However, it is a moot point whether it is possible to be sufficiently prepared for the level of localised rainfall and catastrophic flooding that was recently experienced in and around Townsville, given its ‘once in a millennium’ impact. The vulnerability of both vectors and humans to meteorological variables interacts to produce a public health problem that is undoubtedly complex and therefore difficult to address without a comprehensive whole-of-system approach to which FitzGerald and colleagues refer. This may be considered a ‘wicked’ problem (complex in aetiology, frequently nested inside another problem, subject to recursive causal loops and historically resistant to a solution).